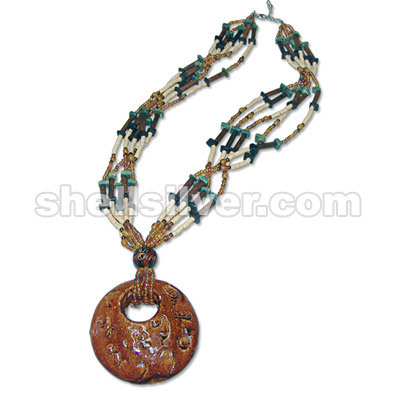 Necklace 23" 5rows in 3mm glass beads rainbow rust, coco square cut green & black, bamboo tube 4x17m more..
Necklace 18" 3 rows in wax cord lt. brown & brown, 2 mm leather suede black, 4 mm antq. 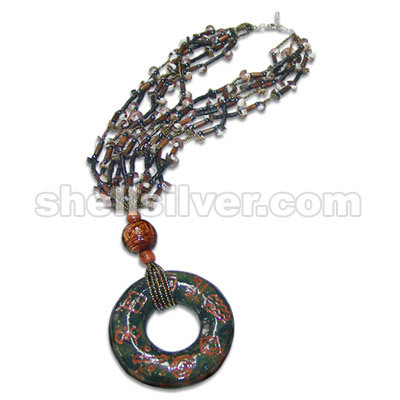 beads, 8 mm more..
Necklace 20" 3rows in 2-3 coco heishe black, 3mm antq. 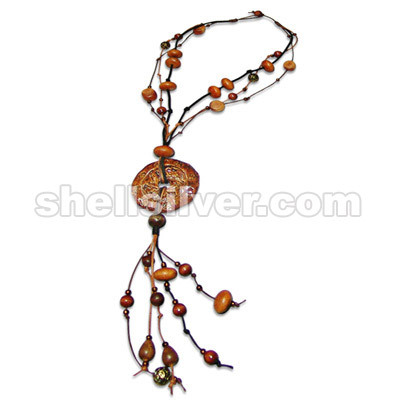 beads, plastic leaf asstd. 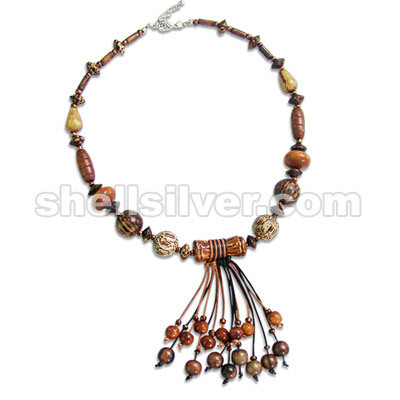 color matte finish more..
Neckllace 20" 5rows in choco olive, 4mm hematite beads, robles wood tube 4x10mm 2-3 coco heishe blac more.. 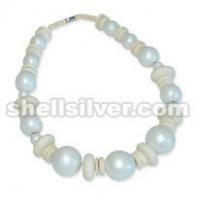 Endless necklace 47" in 2-3 coco heishe black, 4mm antq. 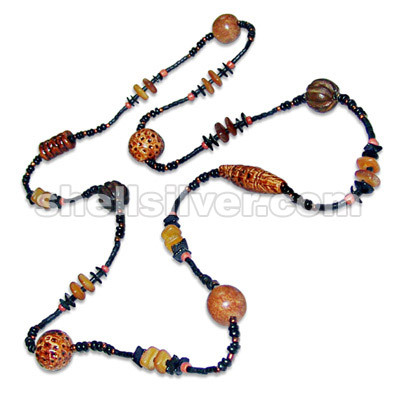 beads, 4-5 coco pukalet black & brown, whit more..
Necklace 16" in 4mm antq. bds, robles tube, patikan wd. saucer, robles wd. teadrop, wood oval w/ gro more..